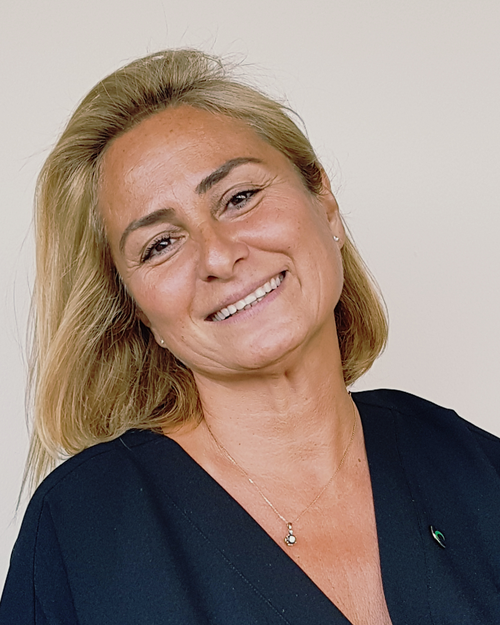 Zeynep Sarılar, born in 1967, Izmir, Turkey, received her BSc Electrical and Electronics Engineering degree from Dokuz Eylul University in 1989. In 1990 she joined the R&D department of Netas in Istanbul as a software engineer and a team leader for international gateway switches. From 1994 to 1997, she worked at Alcatel Bell Telecom in Antwerp, Belgium, as a consultant. In 1997, she worked for the Globalstar project at Qualcomm, San Diego, USA, as a software and system design consultant. In 1998, she returned to Istanbul and worked at Yapı Kredi Bank, Benkar Advantage and Global Securities consecutively. In 2001, Zeynep co-founded Mobilera, a leading CRM based mobile marketing and advertising company where she managed Service and Product Development till 2013, supervising research projects on wearables, embedded systems, digital home systems and entertainment solutions for the automotive and health industry. Since 2009, she has been a Board Member of YASAD, the association for software industrialists and since 2013, she has worked as a consultant for Pera EEMEA, providing consultancy services for national and international funding projects and coordinating a Growth Accelerator Programme for 17 SMEs in Turkey. In 2013 she initiated GEMİM, a Centre for Entrepreneurship Training and Incubation. As of 1 February 2016, Zeynep Sarılar is Chairwoman of ITEA.